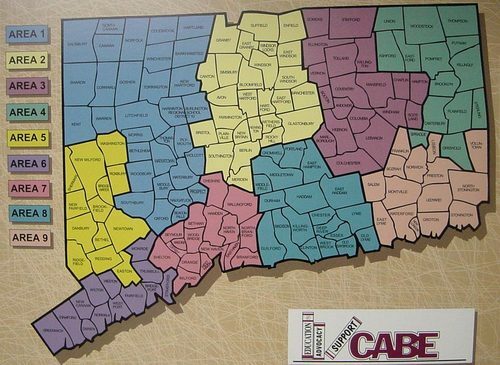 The Connecticut Association of Boards of Education's (CABE) Educational Affiliate Membership program was created in 1996 by the CABE Board of Directors to help meet the needs of education-related institutions that have an interest in public education. CABE invites regional educational service centers, community colleges, higher education institutions and others interested in public education to take part in this exciting new program. The information you receive as an Educational Affiliate keep you informed on the issues of concern to Connecticut public schools. You will obtain insight into the latest developments in local public education and gain opportunities to network with school district leaders. A membership certificate. This will identify the member as an affiliate member of CABE, is issued at the time of enrollment and again each year on the occasion of membership renewal. Up to six subscriptions to the CABE Journal, CABE's principle periodical publication. Up to six subscriptions to CABE's Legislative Report. Up to six subscriptions to CABE's Advocacy Highlights, Labor Relations and Policy Services by email. A 10% discount on advertising rates in the CABE Journal. May have the opportunity to have articles published in the Journal. Inclusion on a list of CABE affiliate members published annually in the Journal. A copy of CABE's annual report on the results of the Connecticut General Assembly, Education Law Summaries. Recognition at the CABE/CAPSS Convention. Listing at a special location on our World Wide Web site. If you have a web address and would like CABE to add a link to your website, please send your URL to CABE or email Lisa Steimer. If you would like to speak to CABE Staff about becoming an Educational Affiliate, contact Robert Rader or Lisa Steimer.